I still remember the day Steve Jobs announced Apple’s first smartphone and the first generation of iPod Touch. It was a real revolution: Sure, even at the beginning there were features everyone had seen before, but enough were new to make it a truly magical day for tech geeks everywhere. 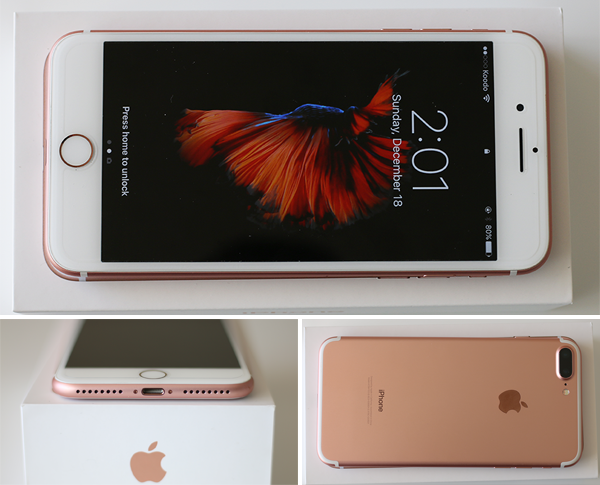 I get the impression Apple Inc. was trying to capture that same magic with this year’s release of the 12th generation of the iPhone, the iPhone 7 and the iPhone 7 Plus, which arrived almost 10 years after Steve Jobs’ first announcement – and unfortunately, if that was their goal the results are less than spectacular. To be fair, the lack of revolutionary changes has been the case for years: There were some major redesigns at the beginning of the iPhone’s evolution, but it doesn’t really surprise me that the iPhone 7 looks almost the same as previous generations. That said, this may be the first time the manufacturer hasn’t changed the design at all between generations. Perhaps they – and customers such as myself — were happy with the iPhone 6’s design: If it ain’t broke, don’t fix it. So why does my head keep going back to the first iPhone’s upcoming 10-year anniversary? Don’t get me wrong – there are quite a few under the hood upgrades – but I think people were expecting more. Build Materials & Colour Ion-strengthened glass, oleophobic coating. Availability & Pricing Bell, Eastlink, Fido, Koodo, MTS, Rogers, SaskTel, Telus, Wind Mobile, Videotron and Virgin Mobile. You can also buy unlocked from Apple starting at $899. Again, don’t get me wrong – Apple added some great features to the iPhone 7, among them making the phone water and dust resistant. Although Sony and Samsung have been doing this for a few years now, it’s good to see Apple finally catching up. Both the iPhone 7 and 7 Plus are IP67 certified, which allows them to be submerged in 1-meter deep water for 30 minutes – not that anyone should want to do that to their phone. To help improve the phone’s waterproofing, Apple ditched its physical home button and instead is using the 3D touch function on the front glass as a button, incorporating what it calls the “Taptic Engine” to give users the feeling of actually pressing something, though in reality, there is no physical movement of the key. Whatever the marketing spin, it works perfectly – I have no complaints with the new home “button” whatsoever. The much-vaunted camera upgrades are a noticeable improvement too, even on the smaller iPhone 7. While the vanilla 7 has almost the same optical sensor as its predecessor, the aperture is wider (f/1.8) and its optical image stabilization is one of the best I have seen in a phone. The iPhone 7 Plus camera. But it’s the iPhone 7 Plus, with its new dual lens configuration, where Apple appears to have placed the most focus, installing two 12 MP sensors, with different focal lengths and apertures (28mm, f/1.8 and 56mm, f/2.8), that allow users to shoot pictures with a 2x optical zoom, and also take advantage of the device’s new Portrait mode. 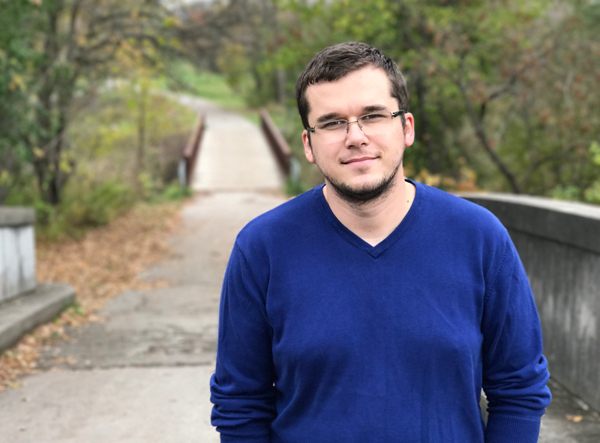 With this mode, the phone uses both cameras to create a 3D relief version of the subject and blur out the background, creating false bokeh that results in great portrait shots. Such as this one of the author. The resulting images are clear and crisp, and the optical image stabilization does wonders when shooting 4K video footage. In other words, the camera is what we have become used to receiving from Apple: the best available on a phone at the time of launch. 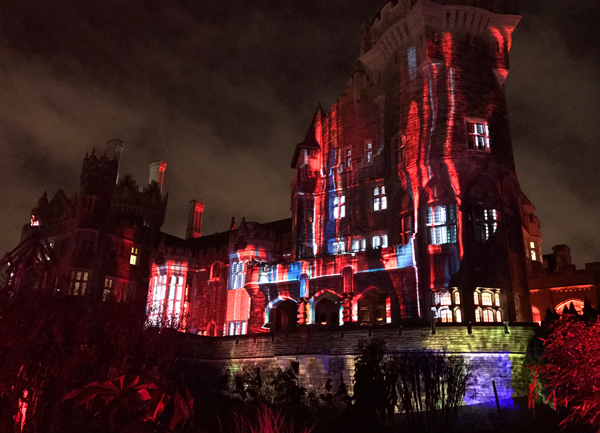 It can even capture beautiful images at night, such as this shot of Toronto’s Casa Loma. Apple also doubled the units’ storage space, with the smallest one now being 32 GB and reaching all the way up to 256 GB. For the iPhone 7 Plus the company also added an extra GB of RAM, for a total of 3 GB. Unfortunately, the smaller version still has only 2 GB. Both phones feature the new quad-core Apple A10 Fusion CPU. Two of the cores are high performance, to accommodate the more demanding applications available, while the other two are energy-efficient, ideal for handling smaller tasks. Speed has never been an issue for iPhones, which nearly always outperform the more powerful Android phones on the market, and the iPhone 7 is no exception. The company has also added an extra speaker to the phone: one is at its usual place, near the bottom, while the other shares the earphone slot. This makes the new iPhone a serviceable stereo device, though it won’t replace your Bluetooth speaker. iOS itself has also come a long way since it was first released: it may be hard to believe now, but the original version didn’t even have an App Store! Famously developer-unfriendly, with the new iOS 10 Apple has finally opened a door a little: Apps can now integrate with both iOS’s native Messages app and with Siri. 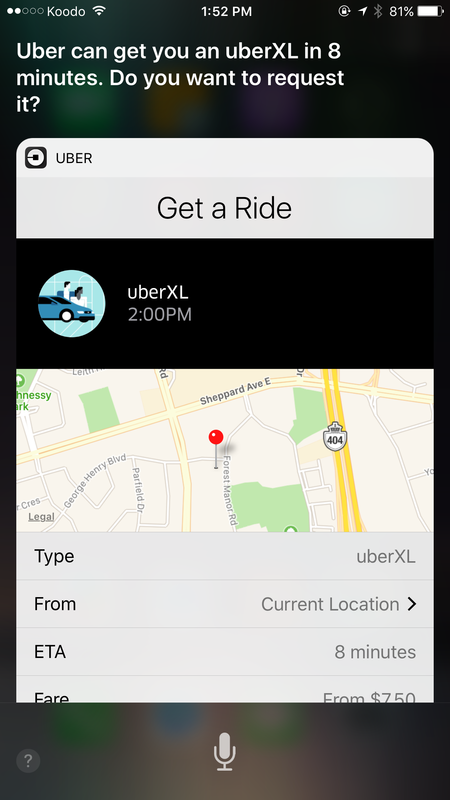 For example, this means you can now ask Siri to book you an Uber, or call someone on Skype. The company has also added widgets to the notification screen, new emojis, and updated its messaging app to allow users to add special effects to their messages, among other minor updates. Need a ride? Now you can ask Siri for one straight from your home screen. And while a 2,900 mAh battery might not sound like much compared to the 3,450 mAh Google Pixel or the 3,600 mAh Samsung Galaxy S7 Edge, the iPhone 7 Plus’s battery life, at least, is amazing. Unlike my Samsung S7 Edge, which can barely make it through the day, the 7 Plus – despite its smaller battery – lasts for almost two days with moderate usage. Although the iPhone 7 and the iPhone 7 Plus are great devices – probably the best on the market now – I personally was expecting more from Apple. The headphone jack’s removal was controversial, and with good reason. Rumour has it that Apple did this to save space inside the phone, but I can see no major spec changes that would require the extra physical space. Apple has also said they want to move into a wireless world, but if that’s the case then why haven’t they added a wireless charging feature to their phones? We could write a separate article on the subject, but for now let’s leave it at this: many users will rightly miss the headphone jack, and the small lightning-to-3.5mm connector included in the package doesn’t make up for it. There are quite a few advantages to using a lightning connector headphone, however. Since the sound is leaving the phone in a digital format, this now means headphone manufacturers can build their own digital-to-analog converters into their headphones, rather than relying on the phone’s converter. Also, since lightning headphones communicate with the phone, manufacturers can build custom EQ settings as well. For me personally, the fact that Apple hasn’t changed the phone’s design from its previous generation is the biggest letdown here. While other manufacturers have been launching interesting phones with curved or even edgeless screens, it disappoints me that Apple seems content to produce a small upgrade to the iPhone 6S and assume (correctly, in this case, though with competitors such as the Pixel, for how long?) that it will become a hit. Most smartphone users only notice two differences from phone to phone: the screen, and the body. In addition to being roughly the same size as its predecessor, the iPhone 7’s screen looks exactly the same as the iPhone 6 and 6S, the only change being a wider colour gamut that you won’t notice unless you place the two phones side by side. 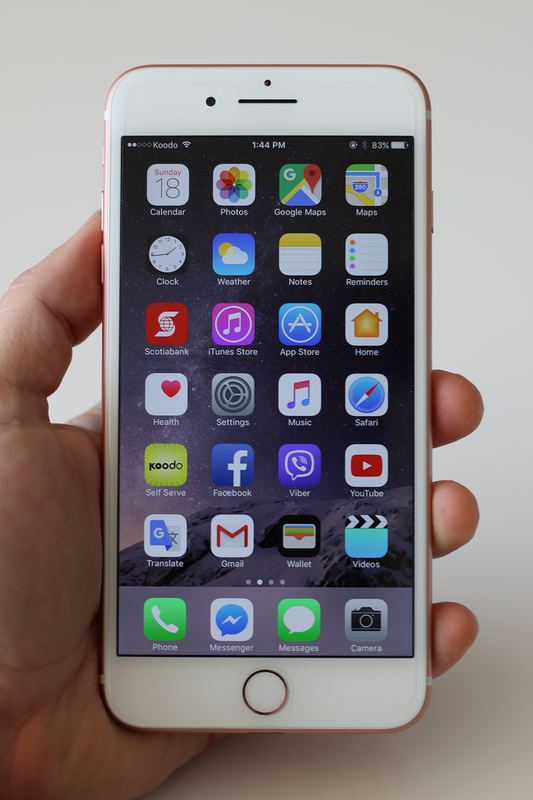 Is the iPhone 7 a great smartphone? Sure. But I don’t see it converting the Android faithful, and if you’re already a 6 or 6S user, you’re probably better off skipping a generation. Highs: Reliable, stable, blazing fast operating system, great camera, great optical stabilization, amazing battery life. Lows: Same old design, no headphone jack, price (but it’s from Apple, so you were expecting that). Database marketing assistant at ITWC, gadget geek, video nut, and appreciates classic rock more than most. See my Youtube channel "Andrew the Guy."